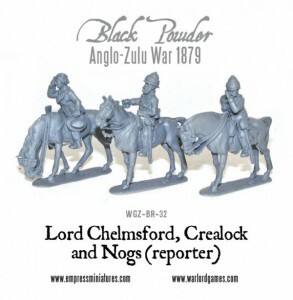 Warlord Games expands their Black Powder range with some new Anglo-Zulu War miniatures, available over on their website. This week sees a new addition to the range of Anglo-Zulu War miniatures we get in from Empress Miniatures. These perfectly support our own range of plastic Anglo-Zulu War miniatures. Chelmsford, Crealock and Nogs will add extra depth of character to an already character-filled period!